I wrote a couple of days ago about the “Panama Papers” issue and touched on the key issues. I explained that this non-scandal scandal is simply another chapter in the never-ending war by high-tax governments against tax competition, fiscal sovereignty, and financial privacy. Here are a few of the other points I made: . People with cross-border investments use structures designed by providers such as Mossack Fonseca to facilitate the productive allocation of their capital. People value privacy (even more so if they’re wealthy because they have to worry more about kidnapping and other crimes), so these structures are designed to protect their confidentiality. Cross-border economic activity and structures play a valuable role in the global economy and should not be demonized, just as GM shouldn’t be demonized if some crooks use a Chevy as their getaway vehicle. There’s an element of hypocrisy in this issue since low-tax jurisdictions have stronger laws against dirty money than high-tax nations. The real story is that the leaked documents may have given us a look at how politicians use offshore structures, often to mask wealth that was illegitimately obtained. I touched on some of these topics in this interview with Neil Cavuto. Let’s look at what some others have written on this issue. Veronique de Rugy of the Mercatus Center looks at some reactions from onshore politicians, which range from illogical to extremist. So France wants to punish Panama, even though Panama already has agreed to help enforce bad French tax laws. Meanwhile, President Obama reflexively wants to punish taxpayers who have the temerity and gall to not voluntarily over-pay their taxes (an issue where Donald Trump actually said something sensible). As an economist, Veronique highlights the most important issue (assuming, of course, one wants more prosperity). If you want more global trade and more global investments, international bureaucracies such as the Organisation for Co-operation and Economic Development and governments around the world shouldn’t make it harder to operate international businesses and engage in cross-border investment and business. Then she looks at discouraging developments from her home country. For years, France has punished its entrepreneurs and businesses with high taxes and terrible laws. As a result, last year alone, some 10,000 French millionaires called it quits and moved abroad. However, rather than reform its tax laws and streamline its government, it wants to put its grabby hands on some cash… But it won’t work in the long run. France and other high-tax nations can try very hard to destroy tax competition, financial privacy and the sovereignty of countries with better tax structures, but they still won’t be able to afford their big and broken welfare states. 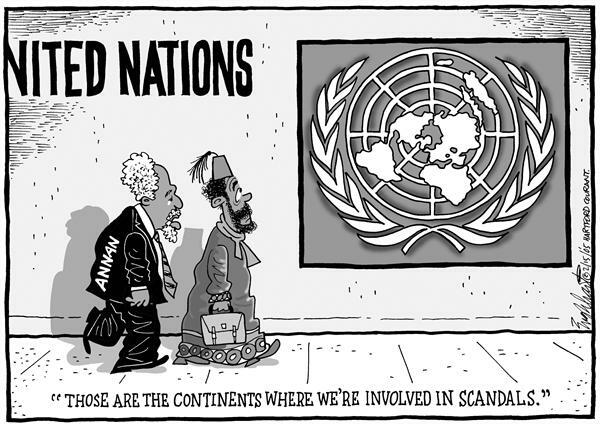 …That’s the real financial scandal. Amen. This is a simple matter of math and demographics. The Wall Street Journal also has opined on the controversy, wondering about the fact that some folks on the left are fixating on legal tax avoidance. 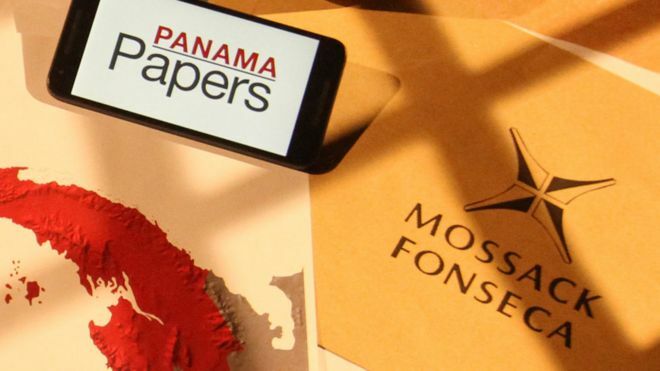 The papers…purport to document the dealings of the Mossack Fonseca law firm, which appears to have helped wealthy clients establish shell companies in Panama, a rare remaining bastion of bank secrecy. …The fact that an individual created such a company, or opened bank accounts in Panama, is not proof of any wrongdoing… That’s not stopping the media from jumping to conclusions, many are oddly focusing on tax avoidance. There’s a reason for the fixation on tax avoidance, of course. Politicians realize that they need to demonize legal tax if they want to impose big tax hikes by shutting down loopholes (both the real ones and the fake ones). In any event, the editors agree that the real issue from Panama Papers is the presumably dodgy accumulation of assets by politicians. The mistake now would be to narrow the focus prematurely, zeroing in on tax avoidance that is a hobbyhorse of the political class but in this case is a distraction. The real news here are the incomes and far-flung bank accounts of the political class. The bottom line is that if we’re going to have a crusade for transparency, it should focus on government officials, who have a track record of unethical behavior, not on the investors and entrepreneurs who actually earn their money by using capital to boost growth. I should have dug into my files and provided a few examples of the hypocritical American politicians who have utilized tax havens. Such as…ahem…the current Secretary of the Treasury. Speaking of hypocrisy, Seth Lipsky of the New York Sun identifies another strange example of double standards, in this case involving privacy. The New York Times…defended Apple when the iPhone maker refused to help the FBI break into the iPhone that had been used by the Islamist terrorists who slew 14 innocent people in San Bernardino. It even praised Apple for refusing to help. Yet it’s joining in the feeding frenzy over what are coming to be known as the Panama Papers…calling for major investigations into money laundering and tax evasion. I was sympathetic to Apple’s legal argument, even though I also wished the company would have helped the FBI (albeit without giving the government any details that could have been used to create a backdoor into all of our iPhones). But Mr. Lipsky is right that the privacy-loving defenders of Apple have a remarkably inconsistent approach to the issue. Where were most of the do-gooders…when the FBI was frantically trying to gain access to the infamous iPhone? It might be able to tell us to whom the killers had been talking and whether they were planning more attacks. …Apple…got cheered by all the right people. The Gray Lady…praised Apple for refusing to help. …So why are the do-gooders who are so protective of iPhone data when it belongs — or relates — to terrorists nonetheless so delighted about the disclosure of data when the data belong to the rich? Or relates to their property? Property rights, it seems, just don’t interest the do-gooders. They don’t believe individuals have a right to property or to due process before their stuff is taken. What it basically shows is that leftists (“do-gooders” to Seth) have more sympathy for medieval butchers who kill innocent people than they have for over-burdened taxpayers who actually want to preserve their money so it is used to promote prosperity rather than to fatten government budgets. By the way, I can’t resist sharing another excerpt. …tax havens can serve a benign purpose. They put pressure on law-abiding governments to keep taxation within non-abusive limits, something that is increasingly rare in the age of socialism. Bingo. This is why everyone – especially those of us who aren’t rich – should applaud low-tax jurisdictions. Just imagine how high taxes would be if politicians thought all of us were captive customers! Let’s look at one final interview on the topic. But I’m not sharing this BBC interview because I said anything new or different. Instead, I want to use this opportunity to grouse about media bias. You’ll notice that I was out-numbered 2-to-1 in the discussion (3-to-1 if you include the host). But I’m not upset I was in the minority. That’s so common that I barely notice when it happens. What did irk me, though, was the allocation of time. Both statists got far more ability to speak, turning a run-of-the-mill example of bias into an irritating experience. On the other hand, I did get to point out that the OECD bureaucrat was staggeringly hypocritical since she urges higher taxes on everyone else when she (like the rest of her colleagues) gets a tax-free salary. So maybe I should be content having unleashed that zinger. Three years ago, thieves stole a bunch of information from “offshore” service providers in the Cook Islands and British Virgin Islands. This was supposed to be a ground-breaking exposé with huge ramifications, but it turned out to be a tempest in a teapot. As I pointed out at the time, all that we really learned is that people who use offshore services are generally honest and law-abiding. And they definitely had far more integrity than the politicians who routinely attack the offshore world. Well, here we go again. We’ve learned that thieves have now obtained client data from a global law firm based in Panama, and leftists once again are making this seem like a giant story. But here’s what you really need to know. This is simply another chapter in the never-ending war by high-tax governments against tax competition, fiscal sovereignty, and financial privacy. Here’s some of what I wrote for Caribbean News on the issue, starting with the big picture. Many nations in Western Europe can no longer afford their big welfare states. Countries such as Greece, Spain, and Italy already have needed bailouts, while it’s just a matter of time before several other European nations face a fiscal day of reckoning. 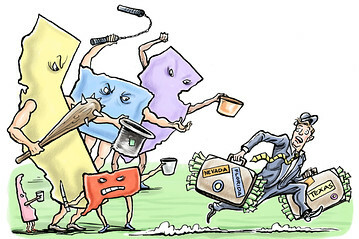 …rather than fix their own fiscal problems, many of these nations are working through international bureaucracies such as the G-20 and the Organization for Economic Cooperation and Development to rewrite the rules and traditions of global commerce in an attempt to extract more tax revenue. This is why there’s been a major attack against so-called tax havens as part of a coordinated campaign to undermine fiscal sovereignty and restrict the human right of financial privacy. In other words, welfare states are going bankrupt and they hope to somehow prop up their unaffordable entitlements with a money grab. And they’re more than happy to rely on stolen data. One of the more bizarre chapters in this story is the way the pro-welfare state crowd is now trying to demonize financial service providers such as law firms that are hired to fill out paperwork by investors and entrepreneurs who are setting up trusts, companies, and other entities. Consider, for instance, the plight of Mossack Fonseca, a professional services firm based in Panama. …this collection of legal practitioners and egghead trust advisors is suddenly being portrayed as an international crime syndicate that’s corrupting Western civilization one business incorporation at a time. But it makes no sense to attack service providers. The controversy, in large part, derives from a basic and arguably willful misunderstanding of what firms like Mossack Fonseca do – and don’t do – for their clients. In basic terms, these firms help people create new businesses and trusts. …unlike banks, these law firms don’t take possession of their clients’ money. So the notion that they are involved in “money laundering” is laughable. Once incorporation papers are filed, the law firms don’t direct in any way the operation of the businesses. Besides, the real target isn’t the Panamanian law firm. Activists on the left, working in concert with international bureaucracies and uncompetitive governments, want to create a global tax cartel (sort of an “OPEC for politicians“) in hopes of enabling higher tax burdens. Firms like Mossack Fonseca are merely just the latest stand-ins and proxies for a much wider campaign being waged by left-wing governments and their various allies and interest groups. This campaign is built around aggressive attacks on anyone who, for any reason, seeks to legally protect their hard-earned assets from confiscatory tax policies. …a cabal of governments…has decided not to compete…instead simply seeking to malign and destroy any entity, individual or jurisdiction that exists that deprives them of tax revenue to which politicians greedily believe they are entitled. As usual, the media outlets running these perennial “exposés,” usually at the bidding of OECD bureaucrats (who ironically get tax-free salaries). Let’s close with a couple of points about the broader issue. It is hardly a surprise that wealthy people with cross-border investments use instruments (such as foundations, trusts, and companies) designed for such purposes. Like everyone, wealthy people value privacy (even more so because they have to worry more about kidnapping and other crimes), so these structures are designed to protect their confidentiality. Some of these clients may not have complied with the tax laws of their countries. That is generally a function of excessive tax rates and home-country corruption. A few end-user clients may be unsavory (Putin’s cronies, for instance), but should businesses be prohibited from dealing with people who are viewed as sketchy (but otherwise are not under investigation and haven’t been convicted of crimes)? Low-tax jurisdictions have stronger laws against dirty money than high-tax nations. So at the risk of stating the obvious, I’m on the side of low-tax jurisdictions and the service providers in those jurisdictions. And I’ll defend them (here, here, here, here, and here) even if it means a bunch of international bureaucrats threaten to toss me in a Mexican jail or a Treasury Department official says I’m being disloyal to America. Or, in this case, if it simply means I’m explaining why it’s a non-story that internationally active investors use international structures. P.S. Why is it okay for rich leftists to utilize “tax havens” but not okay for people in the economy’s productive sector? P.P.S. We should be very thankful that Senator Rand Paul is standing tall in the fight against nosy and destructive governments on this issue. Tax competition is a very important tool for constraining the greed of the political class. Simply stated, politicians are less likely to impose bad tax policy if they are afraid that jobs and investment (and accompanying tax revenue) will move to jurisdictions with better tax policy. This works to limit revenue grabs by politicians at the state level and it works to control the craving for money on the part of politicians at the national level. But this doesn’t mean all forms of tax competition are equally desirable. If a country lowers overall tax rates on personal income or corporate income in hopes of attracting business activity, that’s great for prosperity. If a jurisdiction seeks faster growth by reducing double taxation – such as lowering the tax rate on capital gains or abolishing the death tax, that’s also very beneficial. Some politicians, however, try to entice businesses with special one-off deals, which means one politically well-connected company gets a tax break while the overall fiscal regime for other companies stays the same (or even gets worse). That’s corrupt cronyism, not proper tax competition. With this in mind, let’s consider the growing controversy about tax planning by multinational companies. There’s lot of controversy, both in the United States and in Europe, about whether companies are gaming the system. The most recent kerfuffle deals with Luxembourg, which is accused of having a very friendly regime for business taxation. Syed Kamall, a Tory member of the European Parliament, has a column in the Wall Street Journal Europe about the right kind of corporate tax competition. It seems to have come as a great shock to many in the European Parliament that Luxembourg may have encouraged multinational companies to domicile there to pay lower taxes. I’m not sure where these members of parliament have been living for the past 20 years. What worries Syed is that many European politicians want to use the news from Luxembourg as an excuse to push tax harmonization. By the way, the OECD is a big proponent of tax harmonization, so it’s especially noteworthy that even those bureaucrats admitted that tax competition constrains greedy government. You can click here for further examples of OECD economists admitting that tax competition is necessary and desirable, notwithstanding the anti-market policies being advocated by the political appointees who run the institution. And since we’re discussing the merits of tax competition, we should point out that Mr. Kamall also mentioned those benefits. The clearest example of that came with the tax reductions enacted by Margaret Thatcher and Ronald Reagan in the 1980s. Those tax-rate cuts in the U.K. and U.S. forced other industrialized nations to cut their average top marginal rate for personal income to 42% today from more than 67% in 1980 simply to remain competitive, according to the Adam Smith Institute. Tax competition has driven down the average top rate for corporate income in the developed world to less than 27% today from 48% in 1980. Tax competition in Europe encouraged many EU members from the former Soviet bloc to enact flat taxes, which have benefitted them substantially. …it’s important for leaders to keep making the case that tax-policy competition within the single market has been good for Europe. And he correctly warns that tax harmonization would be a vehicle for higher tax burdens. Imposing uniform rates under a harmonized system would turn the EU into a convoy that can move only as fast as the slowest ship. Europe’s tax rate would be only as low as the highest-taxing member. …A harmonized tax system would encourage companies and investors to seek new solutions outside the EU in order to avoid paying what would inevitably be higher, French-style levels of European taxation. And if you don’t believe Mr. Kamall, just look at what’s happened over the past couple of years in Europe. Last but not least, Syed points out that there is a pro-growth way of improving tax compliance. The best way to cut down on tax avoidance is to cut tax rates and simplify tax codes. That way people and companies would be willing and able to pay their money to Europe’s exchequers, rather than paying accountants to find loopholes. But that would require politicians to be responsible, so don’t hold your breath. So what’s the bottom line? Is there a good way of identifying the desirable forms of tax competition that should be defended. The simple answer is that it’s always a good idea to compete with lower tax rates that apply to all taxpayers. That’s true for tax rates on companies and households. The more complex (but equally important) answer is that it’s also good to compete by having a properly designed tax system. On the business side, that means expensing instead of depreciation and territorial taxation rather than worldwide taxation. For households, it means having the proper definition of income so that there’s no longer pernicious discrimination against saving and investment. Misguided tax competition, by contrast, exists when there are very narrow preferences that apply to a small handful of powerful taxpayers. For more information on the general topic, here’s my video on the virtues of tax competition. P.S. My support for tax competition is so intense that I even try to bring the message to unfriendly audiences, such as Capitol Hill and the New York Times. P.P.S. Heck, my support for tax competition is so intense that I almost got tossed in a third-world jail. That’s true dedication! P.P.P.S. In you admire hypocrisy, you’ll be very impressed that many rich statists utilize tax havens to protect their money even though they want you to give more of your income to government. P.P.P.P.S. Speaking of hypocrisy, the main anti-tax competition international organization gives its bureaucrats tax-free salaries. P.P.P.P.P.S. Since I just mentioned the OECD, I should note that it has a project to curtail business tax competition. They claim that their intention is to go after misguided forms of tax competition, but I’m not surprised that the real goal is to simply extract more money from companies. P.P.P.P.P.P.S. I’m not sure how to classify this final bit of information, but it’s surely worth mentioning that Bill Clinton defends corporate tax competition. As does Bono. I’ve always had a soft spot in my heart for Bill Clinton. In part, that’s because economic freedom increased and the burden of government spending was reduced during his time in office. Partisans can argue whether Clinton actually deserves the credit for these good results, but I’m just happy we got better policy. Heck, Clinton was a lot more akin to Reagan that Obama, as this Michael Ramirez cartoon suggests. Moreover, Clinton also has been the source of some very good political humor, some of which you can enjoy here, here, here, here, and here. Most recently, he even made some constructive comments about corporate taxation and fiscal sovereignty. Here are the relevant excerpts from a report in the Irish Examiner. Kudos to Clinton for saying America’s corporate tax rate “needs to come down,” though you could say that’s the understatement of the year. The United States has the highest corporate tax rate among the 30-plus nations in the industrialized world. And we rank even worse – 94th out of 100 countries according to a couple of German economists – when you look at details of how corporate income is calculated. And I applaud anyone who supports the right of low-tax nations to have competitive tax policy. This is a real issue in Europe. I noted back in 2010 that, “The European Commission originally wanted to require a minimum corporate tax rate of 45 percent. And as recently as 1992, there was an effort to require a minimum corporate tax rate of 30 percent.” And the pressure remains today, with Germany wanting to coerce Ireland into hiking its corporate rate and the OECD pushing to undermine Ireland’s corporate tax system. All that being said – and before anyone accuses me of having a man-crush on Bill and/or of being delusional – let me now issue some very important caveats. When Clinton says we should increase “the burden on consumption taxes,” that almost surely means he would like to see a value-added tax. This would be a terrible idea, even if at first the revenue was used to finance a lower corporate tax rate. Simply stated, it would just be a matter of time before the politicians figured out how to use the VAT as a money machine to finance bigger government. Indeed, it’s no coincidence that the welfare state in Europe exploded in the late 1960s/early 1970s, which was also the time when the VAT was being implemented. And it’s also worth noting that VAT rates in recent years have jumped significantly in both Europe and Japan. Moreover, Clinton’s position on fiscal sovereignty has been very weak in the past. It was during his tenure, after all, that the OECD – with active support from the Clinton Treasury Department – launched its “harmful tax competition” attack against so-called tax havens. In other words, he still has a long way to go if he wants to become an Adjunct Fellow at the Cato Institute. P.S. Just in case anyone want to claim that the 1993 Clinton tax hike deserves credit for any of the good things that happened in the 1990s, look at this evidence before embarrassing yourself. P.P.S. There’s very little reason to think that Hillary Clinton would be another Bill Clinton. I’m very worried about America’s fiscal future. Simply stated, data from several sources (BIS, OECD, and IMF) indicates that we face a future Greek-style fiscal crisis unless policy makers implement genuine entitlement reform. Unfortunately, politicians have little incentive to control spending and reform programs if they think that higher taxes are an option. So how do we control their appetite for more revenue? There’s no silver bullet solution, but part of the answer is that we need tax competition and tax havens. Politicians are less likely to over-tax and over-spend if they’re afraid that the geese that lay the golden eggs can fly across the border. In other words, tax competition is a necessary but not sufficient condition to promote good policy. And that’s why I’m willing to defend tax havens, even if it requires bringing a message of liberty to traditionally hostile audiences such as readers of the New York Times and viewers of CNN. That’s also why I share well-written and compelling articles on the topic, such as this editorial by Pierre Bessard from Switzerland’s Liberales Institut and this column by Allister Heath of England’s City AM business newspaper. I have a new piece to add to this collection. Professor Philip Booth and Dr Richard Wellings of the London-based Institute of Economic Affairs have produced a succinct and powerful case for tax competition and tax havens. Here are some excerpts from the article they wrote for IFC Review. They start by warning that politicians have done a crummy job in most developed nations. If we consider the performance of high-tax Western countries in recent years – which includes, amongst others, every EU country, plus the US – it has been pretty grim. These are countries which, despite their high levels of taxation, are building up huge debts. These countries also regulate their financial systems heavily, often through bodies which have huge discretion, and yet they have recently suffered the worst financial crisis since the Second World War. You would think that it would be this model – the corporatist model of high taxes and extensive regulation – that would be coming under scrutiny. However, like small children who wish to shift the blame, the EU is focusing its attention on International Financial Centres (IFCs). Well said, though I would make one small correction. These nations have “huge debts” in part because of – not “despite” – “high levels of taxation.” That’s because of the Laffer Curve causing revenues to be lower than expected when taxes are raised and also because politicians can’t resist spending any revenue that is generated. Returning to the article, Booth and Wellings make the important observation that these so-called tax havens largely exist because of bad policy in other nations. Just as offshore centres came into being as a result of incompetent regulatory and tax policy from the US government in the 1960s and 1970s, these centres are just as important today in ensuring the free flow of international capital. The nature of our corporation tax systems is such that investors can be taxed several times over on the same profits. Companies can be taxed when they make profits; investment funds can be taxed on their returns; and investors in funds can be taxed by their home tax authorities. In addition, capital gains tax systems often end up taxing companies when their share price rises as a result of the retention of profits or the anticipation of future profits even though extra tax is levied on those profits when they accrue. If governments reformed their corporation tax systems so that they were coherent and focused on the shareholder rather than on the activities of companies themselves, there would be much less need for IFCs. Amen. If politicians in high-tax nations really want to hurt tax havens, they should lower tax rates and reform their tax systems. But I’m not holding my breath waiting for that to happen, so we need some external pressure to encourage good policy. Booth and Wellings explain how tax competition leads to better policy, which leads to better economic performance. …competition brings major economic benefits. There are very strong incentives for politicians to increase public spending (and hence taxes) in order to gain the support of powerful special interest groups and raise their chances of re-election. Partly as a result, most Western governments now confiscate around two-fifths of people’s earnings. Such high tax rates mean many wealth-creating economic activities are no longer viable. Indeed, long-term studies suggest that every one per cent added to the level of taxation (as a share of GDP) tends to reduce economic growth by about 0.15 per cent a year. Accordingly, a 10 percentage point increase would decrease average growth rates by around 1.5 per cent a year. High rates of taxation therefore have a very significant and negative long-term impact on living standards. But I think this passage is the most important part of the article. Tax competition is necessary to protect people from greedy and short-sighted politicians. 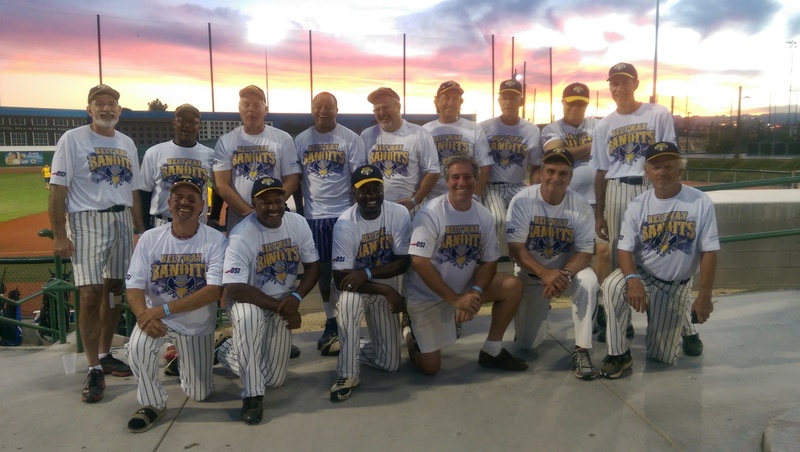 This is one reason why IFCs are so important. They act as a deterrent to predatory politicians who wish to raise tax rates to highly damaging levels. Policymakers know that, if they set tax rates too high, business activity will shift to lower tax jurisdictions. The point at which tax increases no longer result in additional revenue to governments is therefore shifted downwards by competition from IFCs. This means tax rates will tend to be closer to the optimal rate for economic growth. The authors also explain that slower growth has a big impact on government finances. Lower levels of overall economic output mean fewer resources are available to spend on areas such as health and education. Arguments that high tax rates are necessary to fund essential public services are therefore deeply flawed. High-tax, high-spend policies are entirely counter-productive since their negative effect on economic output inevitably results in lower public spending in the long term. While state spending may absorb a larger share of the economy under the high-tax approach, the overall size of the economy will be very much smaller, limiting the resources available to government. In other words, if the statists want both prosperity and ample tax revenue, they’re better off supporting modest-sized government and reasonable tax rates. But this may be the fundamental divide between proponents of economic liberty and supporters of statism. Advocates of big government act as if they are more interested in punishing success than they are in enabling upward mobility for the less fortunate. That seems perverse, but it’s the explanation that matches their behavior. But it’s not my job to psychoanalyze statists. Let’s close by sharing my video primer on tax competition. By the way, Professor Greg Mankiw at Harvard has made very similar points. P.S. Leftists love to criticize “tax havens,” perhaps because they feel guilty about using them. P.P.S. While the U.K. government is very misguided on fiscal policy issues (with the exception of Mark Field), there are a couple of Brits in the European Parliament. You’ll enjoy these short speeches by Dan Hannan and Godfrey Bloom. P.P.P.S. 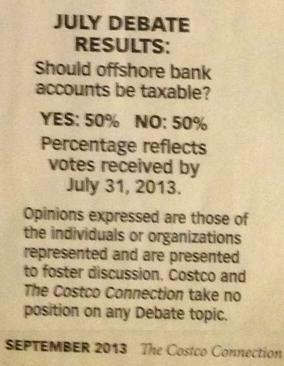 I’m happy to share the news that late-reporting precincts have pushed me into a tie in the Costco poll on whether governments should try to tax outside their borders and persecute low-tax jurisdictions. As I noted last month, I was trailing by a 51-49 margin (though even that was somewhat surprising since I thought the poll used misleading language). Anyhow, here’s the debate and you can still cast a vote by clicking here. P.P.P.P.S. Perhaps the most persuasive evidence is that the New York Times inadvertently admitted that tax competition is one of the few effective ways of fighting excessive government.